Why Choose Terry Jensen Custom Homes? Our team has the right attitude and experience to guide you through what can be a daunting challenge. We provide you with direction all along the way, whether it is your ideas or ours, we put these into action and make them happen! We focus our attention on you our client that is what is important to us. We love what we do and we want to help you design and build a home that will stand the test of time. A house that you will always be proud to call your home! Can you install a Wine Cellar? Yes, we can install many unique features in your home. If you're dreaming about it, we can help make that dream a reality. Contact Terry Jensen Custom Homes today to get started. We have many clients who are happy to provide you an honest referral; for privacy reasons, we don’t list them on our website, but we will provide you with a list once we have discussed your project with you. Can I use my own subcontractors? While you can utilize your own subcontractors, they must be licensed, bonded and insured in order to work on a project with Terry Jensen Custom Homes as general contractor. Also, there are warranty issues involved; this is definitely a subject that should be discussed on a case-by-case basis. We have done many remodels and would love to have the opportunity to provide you with a quote for any remodeling project you have in mind. Do you offer Restoration Services? Yes, We offer premium remodeling and renovations of existing homes which often includes restoration of existing features. We will work with you, and your ideas to keep unique features whenever we can with restoration or renovation projects. Each project is unique to the property and to the needs of our homeowners. While we hesitate to quote a ‘fixed price’ due to the many variables, we generally charge a management fee as a percentage of the job cost. Will you build on my land? We will build on your land, or we can help you find land. Either way, we will work with the architects, engineers and surveyors, and local building departments to develop plans for your home. 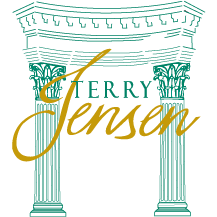 Contact Terry Jensen Construction for your next building or remodeling project.